Herbert Smith (born 1862 in a workhouse and a pit boy at 10 years old), died at his desk in the Mine workers’ Union office in Barnsley. He had been President of the Yorkshire Miners’ Federation from 1906 until his death. He always wore an oversized flat cap and although of a genial nature was quite brusque with his manner when dealing with Government officials, particularly Stanley Baldwin PM, when once he was told that the Prime Minister was coming into the meeting he said, ‘Ah know, ah can smell him’! He was President of the Miners’ Federation of Great Britain 1922-1929 and the International Miners’ Federation 1921-1929. He was a stalwart leader in the miners’ strikes of 1921 and 1926. The Butterley Co set on a full-time Safety Officer for their mines in an effort to try to reduce accidents. The Staveley-Sheepbridge group of collieries produced around 19 million tons. Bolsover Co produced around 5 million tons from its six mines. Bailey Brook (Derbyshire) sunk to 130 yards (119m) in 1847 was closed in July 1938 by Butterley Co after 91 years to allow their more modern mine Ormonde colliery to expand. Bailey Brook shaft was kept open for pumping until around 1948. E443491N347439, E443980 N347500. Piper 1912-1913, (Tupton) Low Main 1898-1914, 1920-1938 and Kilburn seams 1918-1938 were abandoned. The 2 shafts 80 yards (73m) apart, both 8 feet (2.4m) dia were sunk in 1842 to the Deep Soft 3’ 6” (1.07m) at 108 yards (99m) and Deep Hard 3 feet (0.91m) thick at 128 yards (117m). In 1889 the DC shaft was enlarged to 14 feet (4.27m) and deepened. The UC shaft was enlarged to 15 feet (4.57m) to the Deep Soft horizon, at 9” (0.23m) brickwork. When the survey was done in Aug 1884, the Longwall method of working adopted with 60 yards (55m) to 80 yards (73m) between gates, the coal being brought down by gunpowder, then delivered to the pit bottom by endless haulage. One tub weighing 12 cwts from Deep Soft (worked on end) and one tub of 14 cwts from Deep Hard (worked on face) was raised in 30 seconds in a cage with a balance rope, producing 680 tons in 8¼ hours. A Guibal fan 36 feet (11m) dia x 12 feet (3.65m) wide at 45 revs with a water gauge of 1.6 inches (0.04m) generated 135,000 cu ft of air per minute. 12 surface boilers 40 feet (12m) long x 5 feet (1.5m) dia gave 50lbs pressure. During the wet season 70gpm of mine water was pumped. A series of underground boreholes were drilled 1930-1931 to search for old workings from Plumptre colliery. Ilkeston, John Durow aged 11 killed on 10th Mar 1838 when there was a fall of roof. Heanor, Jabez Bircumshaw was killed on 17th Sep 1838 when he fell from a trunk whilst ascending the shaft. Killamarsh, near Chesterfield, on 9th Oct 1838, a young man named Hill was being drawn up the pit shaft when he was overpowered by some iron piping in the corf, which he had neglected to fasten, and fell down the shaft. Hill's brother hearing the pipes striking the sides of the shaft dived out of the way but his brother was dashed to pieces and his mangled body lay at his feet. Ripley, Len Tagg was placing himself on the chains to descend the shaft on 7th April 1838 and he got between the chains and on swinging of the brig tree he fell down the 180 yards deep shaft and was killed instantly. Shipley, on the same day Godfrey Baker fell down the 240 yards deep shaft. Staveley, Netherthorpe pit. On 8th Mar 1838 George Allen was letting down a fire pan when he slipped and fell down the 50 yards deep shaft. Oakerthorpe, Swanwick, Thomas Kerry was ascending the shaft when the horse which worked the gin was frightened by a box of coal being shot up, and ran away. Kerry was drawn up to the pulley and 2 of his ribs, collar bone and thigh were broken and fortunately the horse that had only been used on the gin for a day or two was caught at that moment or he would have been drawn over the pulley and fallen down the shaft. Riddings a pony that had been employed at the bottom of the pit for 9 years and had never been out of the pit during that period was let out for a week before being taken back down again on 26th Sep 1838 to resume its duties. Ellistown (Leicestershire) (Ellistown Colliery Co Ltd), the following seams were all abandoned on 18 Nov 1938....Upper Roaster, Upper Main, Lower Main, Nether Lount. This does not necessarily mean that all the workings in those seams mentioned stopped on that day. It was common in that area of the Coalfield to abandon several seams at one time even though there could be many years between the first and last. A previous old pit in the Clown area was Roweley along with many bell pits. Nunnery? pit (Nunnery Colliery Co Ltd) abandoned 23rd December 1938, Surveyor RS Armstrong. Exploratory heads in the Top Ell seam were abandoned at Pilsley (Derbyshire) (Pilsley Colliery Co Ltd). At Bretby (South Derbyshire) (Hall’s Collieries Ltd) the Woodfield seam was exhausted in November 1938. It was 40 yards (37m) deep at No2 pit and 90 yards (82m) at No3. Denby Hall (Derbyshire) (Butterley Co Ltd), the Mickley seam was abandoned 29 Jan 1938, batts and clunchy bind 2” (0.05m), good coal 2’ 2” (0.66m), soft sloom 7” (0.18m), at No1 shaft 251 yards 1 foot (237m), adjacent workings gotten by JAE Drury Lowe, Surveyor Ernest Severn Lamb (839). Donisthorpe (Leicestershire) (Donisthorpe Colliery Co Ltd) Main coal abandoned Mar 1938, Surveyor FH Liptrot (182) (22 Jul 1915), Agent William Unsworth (2391). 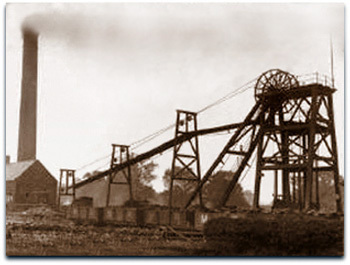 With the closure of Mosborough Moor above, other colliery workings were noted: Swallow’s finished 1849, dip 1in3, Hornthorpe’s colliery (J and G Wells), 9 shafts, Chandler and Hudson’s colliery, ME Mellor’s colliery at Bramley Moor 1 shaft and adit, Renishaw Park collieries (J and G Wells Ltd) 4 shafts, Mosborough Hall colliery 2 shafts and 3 at Street Fields, Mosborough Green 8 shafts and Killamarsh Road 1 shaft. 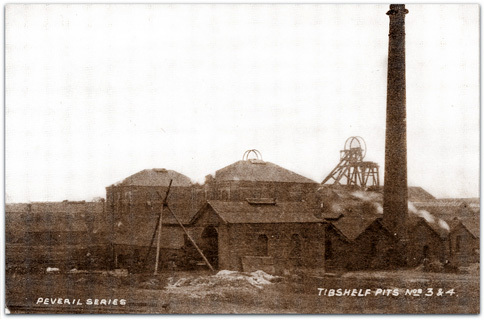 At Tibshelf No3 and No4 working Low Main and Blackshale, there were 383 men underground and 185 on the surface. Pumping operations continued at Tibshelf No1 and No2 with 3 men underground and 13 on the surface. The pits were originally owned by Chas Seely and Co and had been taken over by the Babbington Colliery Co. Manager Tom O Wrightson (2952) and Undermanager HS Cockerill (2nd), Agent JT Dixon. In May 1939 the Seely family who had been in the industry for 80 years finished. 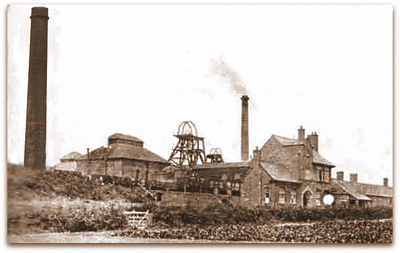 Both Tibshelf and Birchwood pits were trading under the Babbington Colliery Co name although BA Collieries Ltd (Bestwood Amalgamated) had taken over in 1936. Langton (Pinxton No7) shaft, (Nottinghamshire) Pinxton Collieries Ltd) was filled with ashes, widened to 16 feet (4.9m) and deepened to the Blackshale seam at 487 yards (445m) 1937-1939 and then called No9 pit, 22 underground/26 surface. Wage rates rose during 1938. Particularly in Notts, a new wage deal was hailed as a triumph, especially for the lowest-paid workers. The mine owners also agreed to a savings scheme to fund pitmen’s’ holidays and also confirmed their willingness to negotiate a pension scheme. 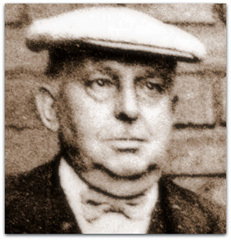 The deal was signed at a meeting of the Nottingham and District Miners’ Wages Board, under the chairmanship of Henry Eustace Mitton of Butterley Co. Under the new terms of the agreement, all mineworkers were to share across-the-board pay rises, whereas previously under the old agreement those on lower paid duties did not qualify for the general rise. The Nottinghamshire Coalfield was the most profitable in the country and OMS in February 1938 rose to 77.91 cwts, almost one third higher than the national average. 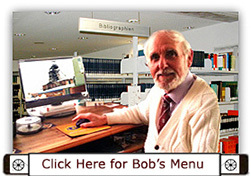 Holidays with Pay Act 1938. However the impending War curtailed the introduction then. HM Chief Inspector of Mines FH Wynne (1939-1942), appointed replacing Sir Henry Walker. Telephones and Signalling Appliances Order 1938 came into force. Firbeck Main colliery (Firbeck Main Collieries Ltd) near Langold, Worksop, Nottinghamshire was taken over by Doncaster Amalgamated Collieries Ltd.
Samuel Sales was elected President of the Derbyshire Miners’ Association. He had been Vice President previously and Henry White was elected to that position. 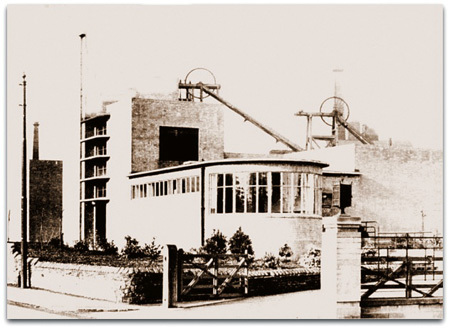 Pithead baths were opened at Shireoaks, Babbington (shown) and Hucknall, all in Nottinghamshire. A Report on the Safety and Health of miners was published in December 1938, following the Royal Commission set up in 1936. Under the 1930s Coal Industry Act it was required that all collieries were to provide surface first aid rooms. There were 121 fatal accidents and 261 serious accidents in North Derbyshire, 1 fatal and 23 other accidents in South Derbyshire and 25 fatal and 139 serious accidents in Nottinghamshire.